What would you say if I told you that the single most effective parenting strategy is to assume the role of a butterfly? A fundamental component of our Lenses of Leadership program is the concept of a lens, or the way we see things. Simply put, each of our thoughts is influenced by the lens through which we are viewing our circumstances. 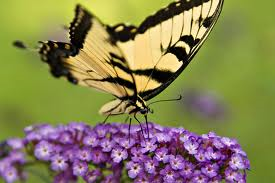 Below is a beautiful example of what I am now affectionately referring to as the “butterfly lens”. This piece was written by my best friend, my life coach, and the mother of our two beautiful daughters. As you will see, she is a huge inspiration for everything I teach. It is so easy to have a short-sighted caterpillar perspective during these scorching summer days of “vacation”. Toys that would normally be tucked away nicely are strewn throughout the living room. Moans and groans of “I’m bored” can be heard from a distance. The dishes pile up as the day progresses due to excessive snacking. It’s easy to get lost in all of the monotony. Today; however, I will choose a butterfly lens. A lens that will allow me to see the overall story; a combination of millions of tiny moments strung together. I will choose to be curious as to what this day will hold. What memories will we make today that will last a lifetime? When Ivy pulls Emerson’s hair, I won’t raise my voice and declare for the umpteenth time, “We don’t pull hair, that’s not kind.” I will look deep into my 2 year-old’s blue eyes and gently remind her of that redundant fact. As they carry on with their playing, I will imagine a moment in the future when Ivy is giving a toast on her sister’s wedding day. The whole crowd laughs as she raises her dainty glass and shares the hair pulling tale in its entirety. She is smiling and filled with gratitude for her big sister, thankful that Emerson has enough lovely locks to wear an up-do on this most important of days. If you are immersed in the unique challenge of children and summer, I invite you to try on your butterfly lens. Parenting will take on a whole new meaning. P.S. My wife recently published a beautiful children’s book titled Miraculous Me. Click here to order your own copy.